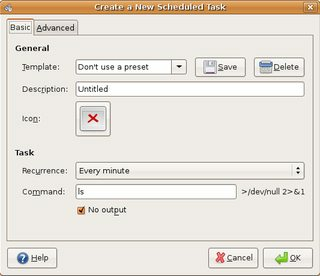 Specifically, I am looking for a GUI-based crontab editor for Ubuntu 12.04 (I know, I know, but the company insists that we use a 12.04 VM for development, and if we upgrade it, our tools break). 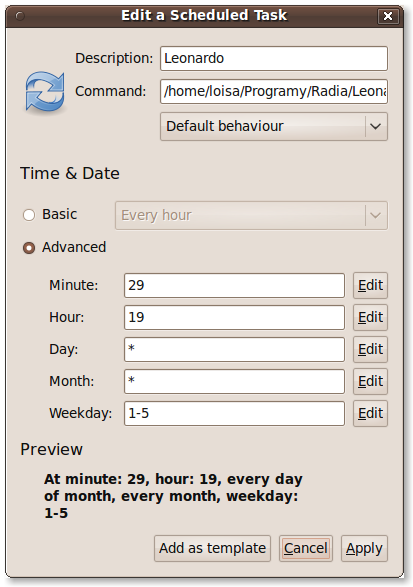 Preferably Gnome, as I don't want to drag in too many KDE dependencies, but I don't rule it out. Gratis, of course (which leads me to wonder if this something similar for Windows, other than this - which costs a whopping $349 !!). 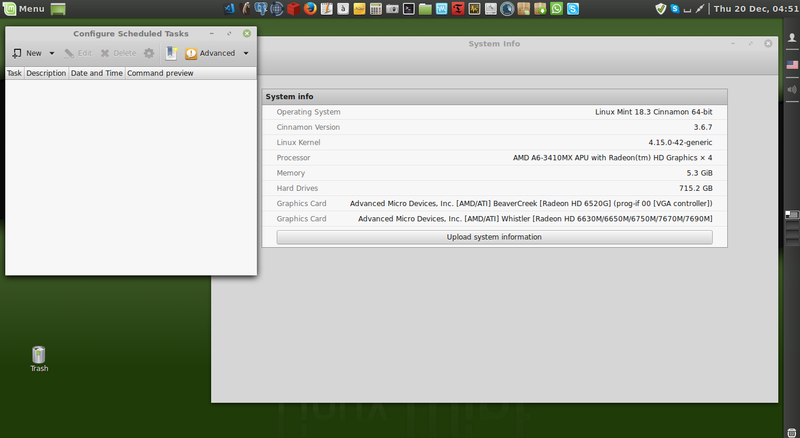 Don't get wrong; a Windows app would be a nice bonus, and should interest others here, but my question is specific to Ubuntu, v12.04. Templates support so that you won't have to create the same task again and again. If run as root, you can edit any user's crontab and "at" tasks. Human-readable strings like "Every hour" instead of "0 * * * *". Advanced mode for crontab experts. 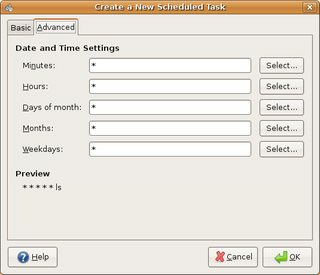 A calendar allows you to choose the day you want a task executed. Edit: two hours after posting my answer, ComFreek detected it is the same product as in Tom's answer where it was named slightly different, and I didn't recognize it by the screenshot. For the additional details and screenshots, I leave my answer here nevertheless. 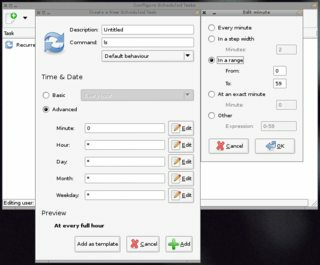 GUI based crontab editor: Yes. Ubuntu: Yes, that's what the Ubuntu Wiki (German) says :) It's in "universe". 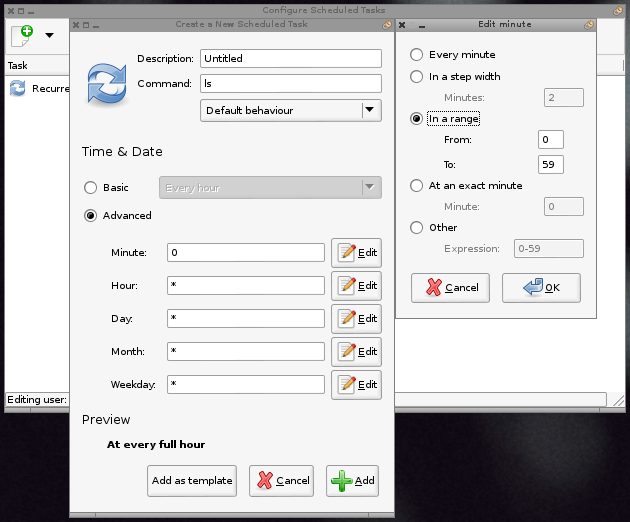 Conclusion: When in need for a Cron GUI on Gnome, Gnome Schedule should fit your every needs. The menu bar shows I didn't even cover all features here (e.g. templates) – but as I covered all you've been after, that's for you to find out. Enjoy! 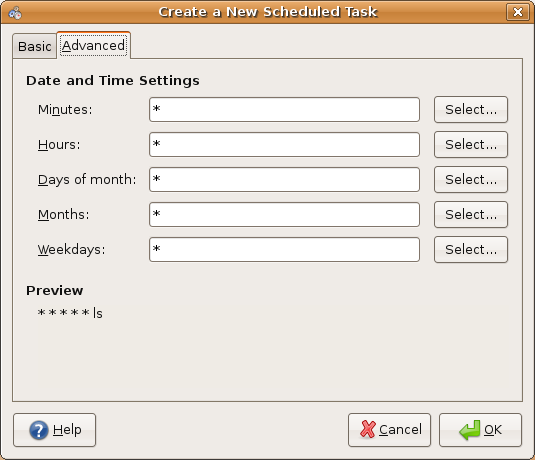 Gnome Scheduler can easily be installed in Linux Mint 18.3 and looks, at first sight, working very well. Not the answer you're looking for? 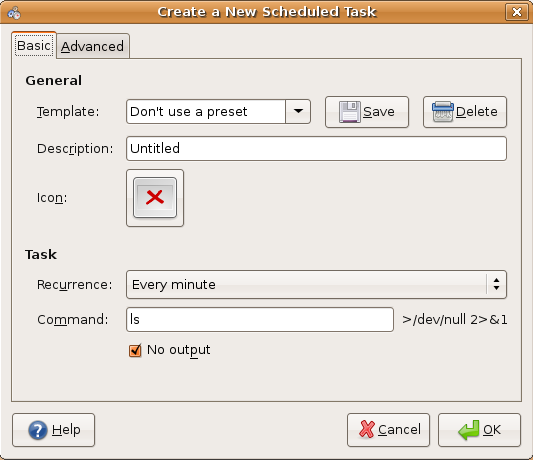 Browse other questions tagged gratis linux ubuntu gui scheduling or ask your own question.